(Aug 10): The effort to establish the Trans- Pacific Partnership has stuttered, but don't write off this far- reaching free-trade initiative just yet. Given the will -- and a clearer understanding of the benefits -- the deal can still be done. The recent meeting in Hawaii of the U.S. and its 11 negotiating partners dashed hopes that the plan was about to be wrapped up. The session made progress but ended with troublesome issues still unresolved. 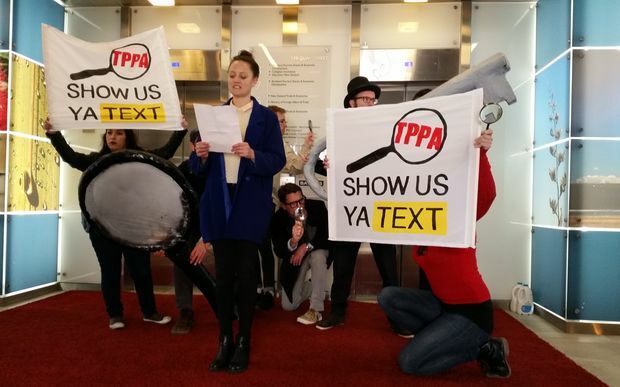 TPP's opponents would be glad to leave it at that and let the whole thing fizzle out. To stop that from happening, governments need to do a better job of explaining why the skeptics are wrong. All manner of objections have been lodged against the deal, but two are mainly to blame for the lack of popular support. The first is the claim that expanded trade would hurt more people than it would help. The second is the idea that trade is already more or less free, so what's the big deal, anyway? TPP, it's argued, is really about protecting the profits of U.S. pharmaceutical companies-- and they're doing fine already. Governments have challenged these myths too feebly. Yes, expanded trade hurts some workers -- just like competition and technological progress hurt some workers. Yet who doubts that competition and technology raise living standards? The parallel is exact. Expanded trade lowers prices and raises productivity. It drives greater prosperity. Its benefits greatly outweigh its costs. You only need to look at the issues that the TPP negotiators are wrestling with to dispense with the other objection. Trade reform has a lot of work still to do. The U.S. wants to shield its sugar producers. Canada wants to keep out dairy imports. Japan wants to spare its consumers the stress of cheaper meat and rice. Governments are arguing over rules of origin that inflate the prices of imported cars, and over rules controlling the subsidies and other preferences they lavish on state-owned enterprises. A deal that liberalized trade in these areas would be a breakthrough for consumers everywhere. Equipped with a better understanding of what's at stake, voters might look more tolerantly on the compromises that getting to yes will require. Granted, it was never going to be easy. Canada's prime minister, Stephen Harper, is preparing for elections, and polls say his Conservative Party is at risk of losing. Agreeing to a deal that harms farmers in Ontario and Quebec, the two most vote-rich provinces, won't help his prospects. Japan treats its rice farmers as a national treasure, giving them outsized political power. In the U.S., Republican lawmakers threaten to reject the deal if it helps makers of generic drugs challenge U.S. producers; Democrats are more doubtful about the virtues of liberal trade than they have been for years. Yet compromises can be struck in all the contested areas. The TPP talks, as with most wide-ranging trade negotiations, follow an informal all-or-none rule. If Japan refuses to allow rice, meat and dairy imports, the U.S. won't lower its sugar tariffs or loosen limits on Japanese vehicle exports. If both relent, farmers and ranchers in Australia and New Zealand would benefit -- giving their negotiators wiggle room to accept seven years' protection of U.S. drug-company data instead of the five years they'd prefer. The prize is the package as a whole-- and in trade talks, a moment comes when the holdouts have to jump together or else the package unravels. If the cost of a particular provision seems too big for one country to accept, ways can be found to finesse the problem. Lower tariffs, loosened quotas or new standards can be gently phased in to give domestic producers time to adjust.